a new bird, essay, revolutionary chirping? A new bird, revolutionary chirping? These days I – like most of us – make extensive use of social media to broadcast bold opinions, heartfelt compassion or stark disappointment, but unlike an apparent majority I don’t opt for the tool twitter. That is, besides the automated “tweets” that my blogs, facebook pages, and community website spawn 24-7 automatically anyway, I don’t follow anyone nor do I care who follows me. But since the service is so immensely popular (and since I am a philosopher) I feel I have to explain why I am not a tweeter-er. The basic idea of twitter is, it seems to me, rendering a real-time overview of a user’s favorite group’s current status updates. This group is entirely configurable by the user and hence can contain celebrities, colleagues, classmates, or strangers. Twitter technology ensures the fast and near real-time delivery of all their status updates on the user’s screen, thus generating some sort of live journal. At first sight, this sounds exciting, but when I tried it myself I couldn’t really see how this would give me the information I need at the time when I need it. After following some interesting personalities, friends and acqaintances, my screen was cluttered with ultrashort messages that invariably included abbreviated URLs linking to the promoted blogs, webshops, articles or who knows what. I understand this is a logical result of the dictum of brevity that made twitter famous, but it is extremely unaesthetic, confusing and detrimental to my informational appetite. I wouldn’t go to elk.ci/9fdkj6i to read an article. But there are technical workarounds for this (for example, caching frequently read news sites and blog names and displaying that instead of the shortened URLs). We could ask more fundamental questions about the unforeseen abundance of information. Does the time we need information really coincide with the time that it comes into being? Or arent’ many “tweets” better suitable for daily digests? And how can that be sorted out? Is the 21th century information consumer really a semantical zombie and entirely passive with regards to his intake of news? Does she really swallow anything she “follows”? Or does she really not care about all the clutter on her screen, awaiting that one interesting tweet to click on? The problem with sorting out tweets is of course that they lack semantics. 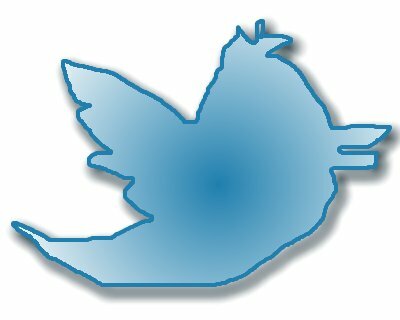 There are a few promising and straightforward ways to organize tweets (except from time of course), notably keywording and geotagging, but I think that a useful information service would require more than simply presenting everything that has been said on a certain topic on a certain date in a certain place. What is needed is a seamless re-adaption to traditional media, that is: hierarchical, imposed, old world production of information. One way of making twitter hierarchical is taking into account the author’s twitter “mass”, which is simply her amount of followers. In an ideal world, this would work and over time create a totally free and democratical information culture. But I think the reality looks a bit different as “twitter power” does not depend on real power. If, during a revolution, I want to keep abreast of what the leaders of the day say but don’t know their name, I want twitter to present me “tweets from people with real power”. I want to read the tweets of the wartime generals as well as the revolutionary leaders rather than the sarcastic but popular observers or web savvy entrepreneurs. I want verified tweets presented in a clean newspaper-like way, organized by keyword or printed on a map. AND THEN I can switch to “full information democracy” mode and ponder the differences! This way, full transparency and participatory news creation can emancipate a handy handheld gadget to the nexus of our political self-perception. Discrepancies with the “twitter realm” will almost flawlessly denote a lack of substantial democracy and constitute a call for action. The challenge all Social Media face in the upcoming decade is to bridge the gap between the real world out there and its virtual recreation that is rapidly gaining influence. A real-time news service by and for the people, unabridged and uncensored. Hierarchy? To succeed in becoming the twenty-tens’ people’s news digest, twitter will have to reintegrate with traditional media other than merely commenting and replicating them (“tweet this”). Twitter should be the next generation Huffington post, and the main challenge is to combine a meaningful, hierarchically structured news reporting with the exciting zero-threshold policy of twitter publishing. ← February 13. Damn you so much, consumerism.